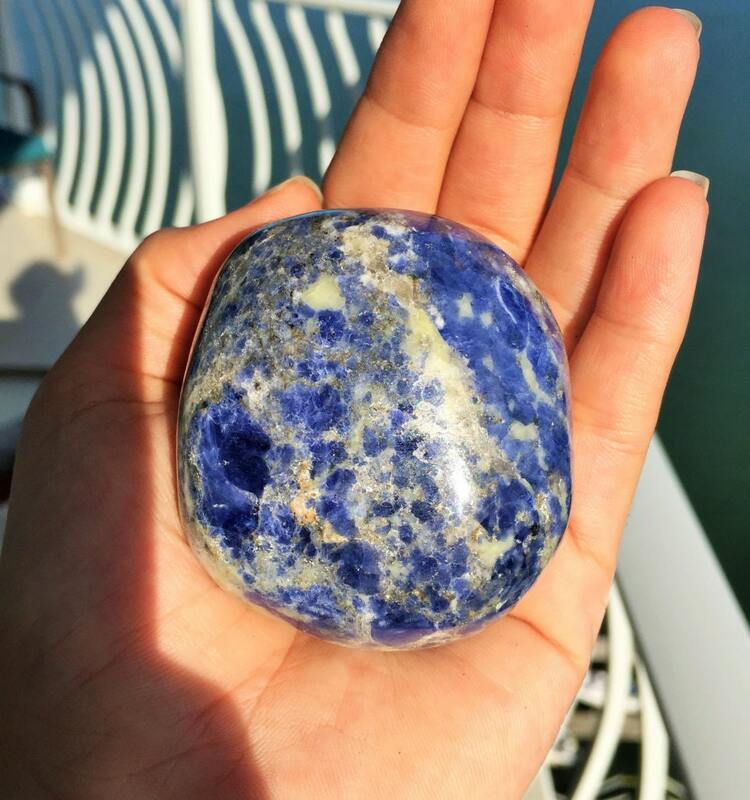 Receive a similar beautiful Large Blue Sodalite Palm Stone that has a deep blue color with veins of white crystal all over the stone as seen in pictures. 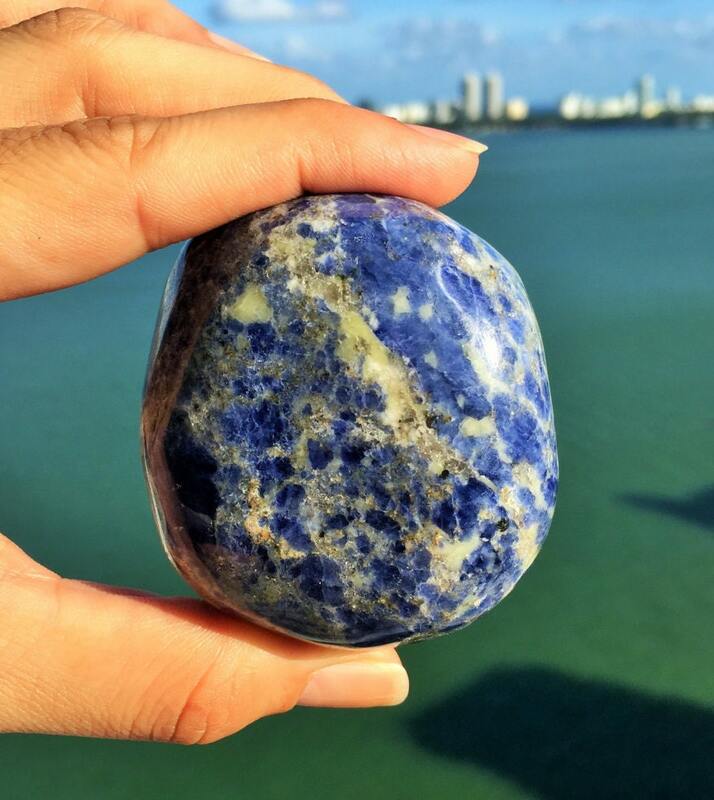 SODALITE helps keep the emotions balanced and calms anxiety. 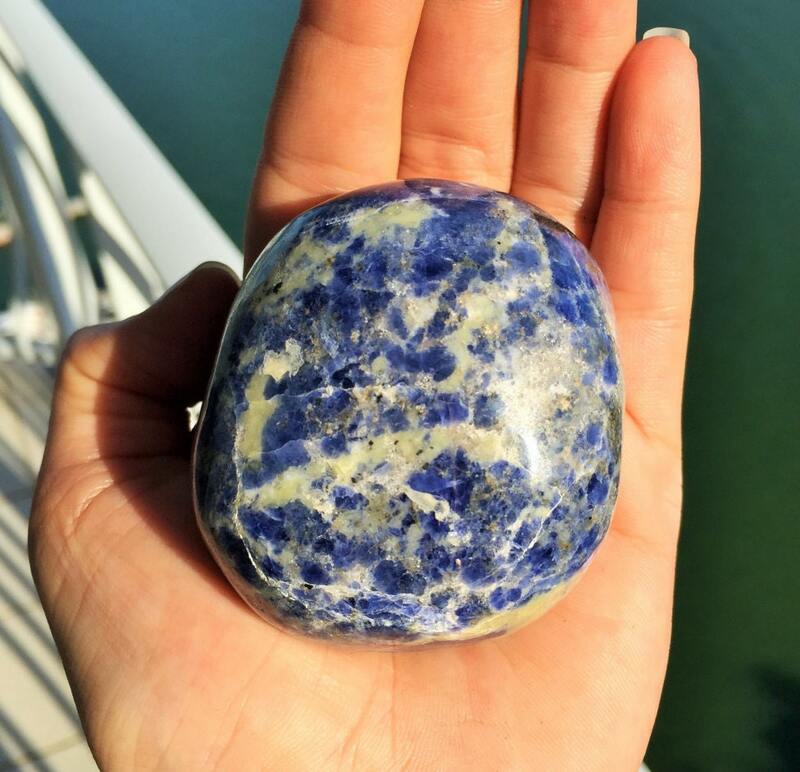 This beautiful natural stone will turn your mood from anxiety driven to calm, tranquil and at peace. Great for the throat and 3rd eye chakras. This stone was a gift to my sister and she loves it, its perfect - thank you!! Love it, so beautiful and warm. Thank you ! Love the marbling on this stone! Beautiful! Thank-You so much!